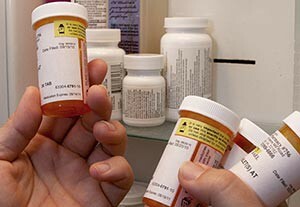 The increased prescribing of prescription opioids is believed to be linked to the current surge in opioid addiction. There are known signs and symptoms of addiction as well as treatment options available available. Treatment options include inpatient or residential programs, medication assisted treatment, and detox variations. Those suffering from addiction a well as their family need to find the treatment and recovery system that works best for them. For more information go to the U.S. News Health article titled Painkillers to Heroin: the Pros and Cons of Treatments for Opioid Addiction. View the YouTube video produced by Check The Stats NH, a campaign by the Partnership for a Drug Free New Hampshire to increase awareness of drug and alcohol use by New Hampshires’ children. Whether you’re a parent, relative or mentor to a child, there are going to be times when you need help discussing issues both big and small about drugs and alcohol. That’s why we think you will find this Parent Talk Kit helpful. With ideas on how to start talking, scripts on what to say, and tips for answering tough questions, this kit can help you keep the child in your life healthy and drug-free. Produced by the Partnership for Drug Free Kids. Download PARENT TALK KIT: Tips for Talking and What to Say to Prevent Drug and Alcohol Abuse (pdf). 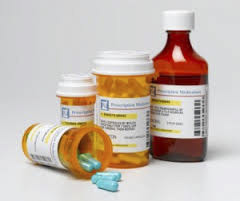 What medications can and can’t be disposed of in drop-boxes? Here is a short list of items you can and cannot drop in our Medication Drop Boxes. Visit our Safe Disposal page for more information. Medications play an expanding role in health care as we grow older. People are more likely to develop one or more chronic illnesses with advancing age, and appropriate medication can help seniors live longer and more active lives. However, medication use in older adults is also more likely to be associated with safety concerns. In this handout produced by Pfizer, learn how to get the benefits of medicine, whether prescription or nonprescription, while minimizing and managing the risks. Read the PDF handout: Medication Safety for the Elderly: A Guide for Patients and Caregivers – produced by Pfizer.